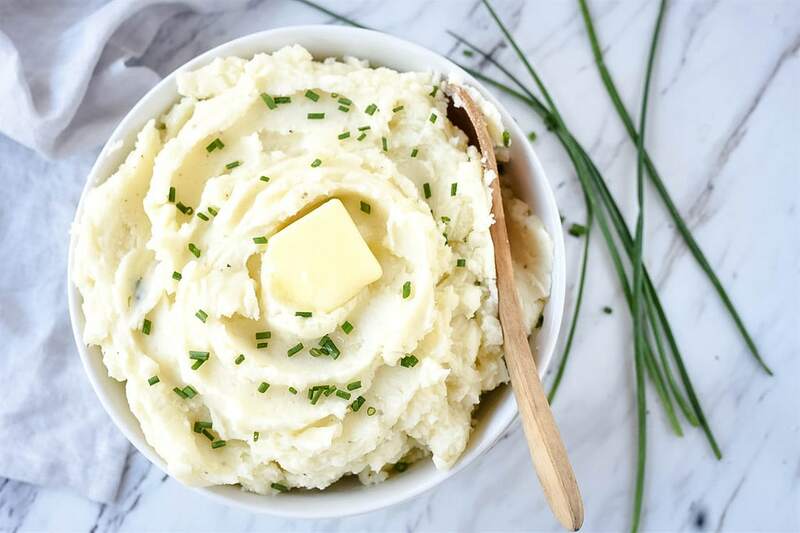 Making easy mashed potatoes doesn’t mean you have to skimp out of the flavor and creamy texture. 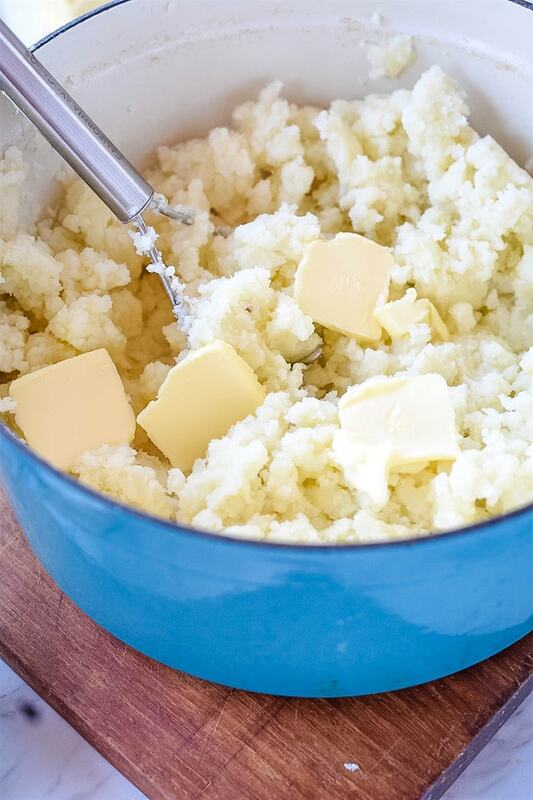 Making the perfect mashed potatoes is a cinch with this step by step tutorial. 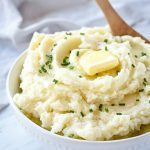 Sharing all my best tips and tricks for the best mashed potatoes every time. 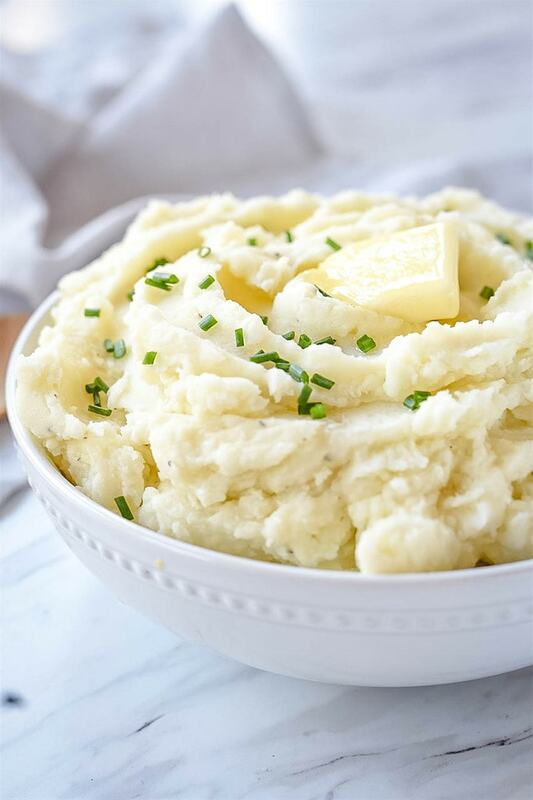 Mashed potatoes are a staple in most homes and are required to appear at all holiday dinners at our house. Being married to the grandson of an Idaho potato farmer, potatoes are a frequent visitor to our table in all their variations. I think I can honestly say my children and husband’s favorite way to eat potatoes is mashed potatoes. I remember one year, one of my daughters requested a big bowl of mashed potatoes all to herself for her birthday dinner. She didn’t want to share! To be totally honest with you, my husband is usually the one to make the mashed potatoes at our house. They are not my favorite potato dish, so my family has discovered they can have mashed potatoes more if they help make them! 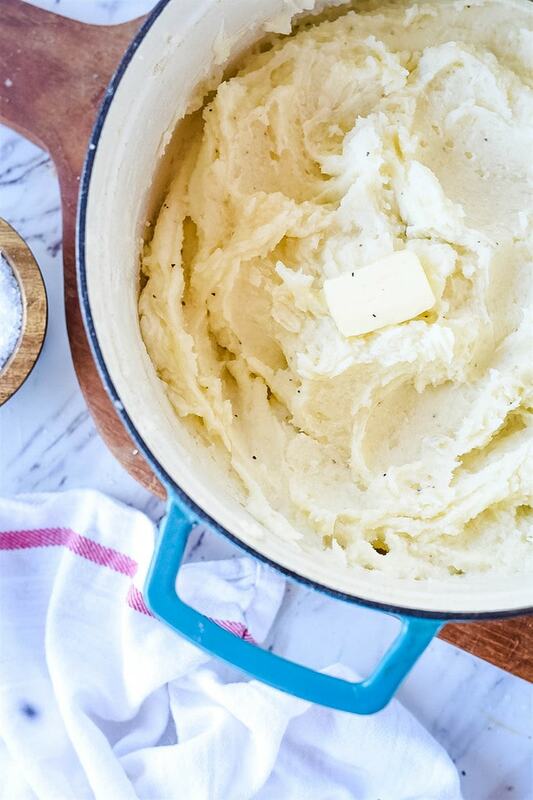 Knowing how to make mashed potatoes is a pretty important life skill. 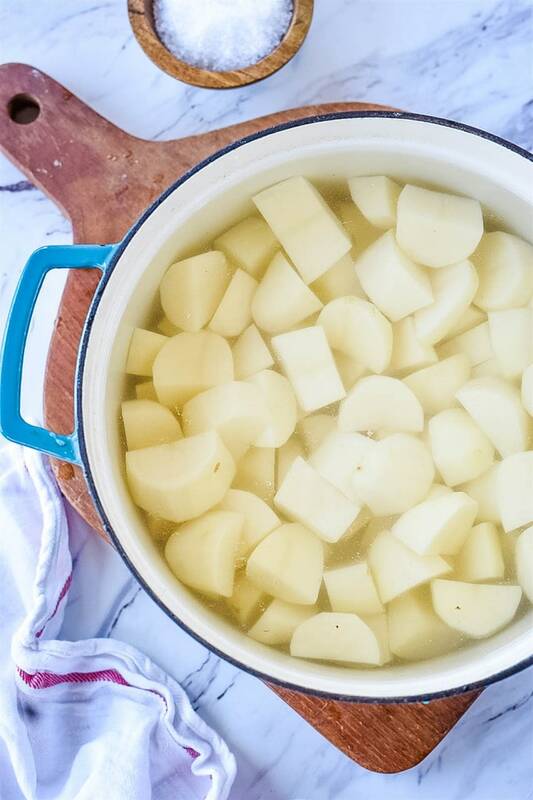 So today I want to walk you through the process of making perfect mashed potatoes every time and my top mashed potato making tips. The first step is deciding what kind of potatoes you will use. We like the traditional russet but you can also use Yukon gold. 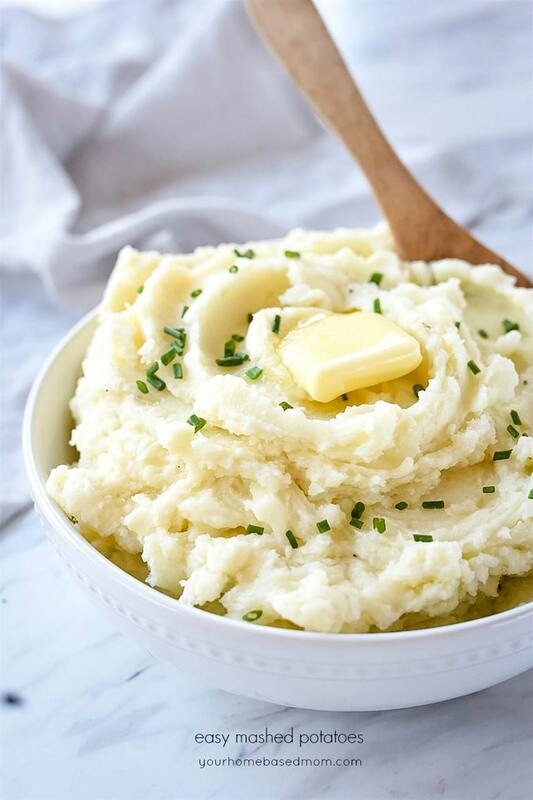 You want a starchy potato because they break down easier and make a fluffier and creamier mashed potato. Red potatoes can be used but they are a waxier potato and don’t break down as easily. Russets are definitely the favorite at our house. I once did a taste test between Yukon Gold and Russet and Russet won hands down! Your first step is to wash, peel and cut up the potatoes. 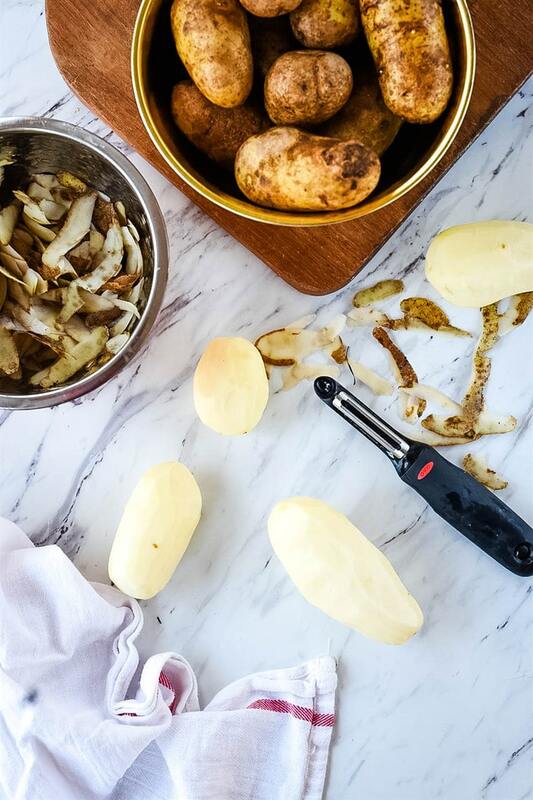 Cutting your potatoes up into even size pieces will help them cook more evenly. I cut my potatoes into 1-1 1/2 ” pieces. Next, fill a large pot (depending on the number of potatoes you are cooking) with cold water, yes, cold water! Put the potatoes into the cold water and make sure the water level is 1-2 inches above the potatoes. Bring the water to a gentle boil. You can cover the pot to help the water boil faster. You don’t want a hard boil, a nice gentle one will provide more even cooking and better texture to your potatoes. Cook until the potatoes are fork tender, the fork should slide right through the potato without any resistance. Drain the potatoes. I like to mash my potatoes by hand with a potato masher. 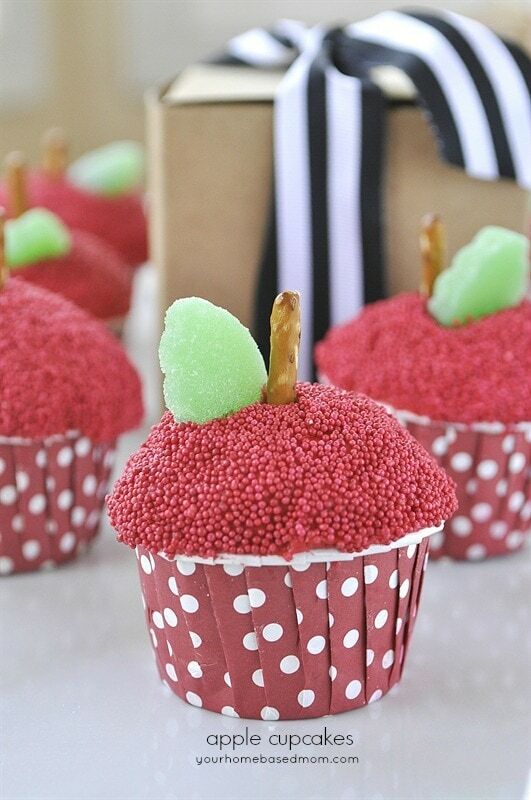 You can use a mixer but you run the risk of over beating them which can cause the starch to break down too much. You want a light and fluffy potato. Add in butter and allow it to melt into the potatoes as you mash them. I like to use room temperature butter. Next I add in some milk and whipping cream for even creamier potatoes. Again, use milk that is room temperature for creamier and smoother potatoes. 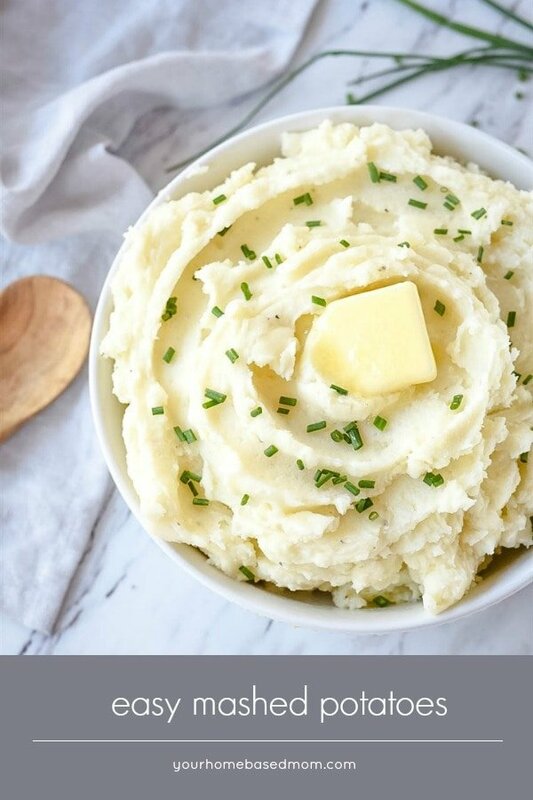 I think mashed potatoes are best served immediately although you can refrigerate and reheat. See below for how to reheat potatoes. Crock Pot – my favorite way is the crock pot. Heat them on low for 2-4 hours, stirring occasionally. The slow cooker is the perfect way to keep them warm up until serving. Microwave- this is the easiest and fastest way to reheat. 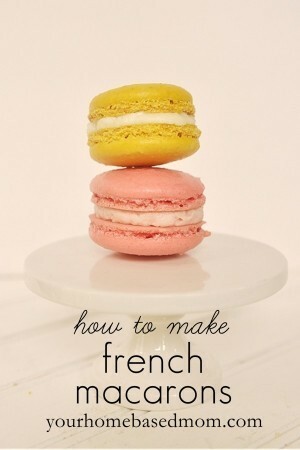 Just place in a microwave safe bowl and heat at medium power for 4-5 minutes. Stir halfway through. Stove Top – this method needs the most attention. 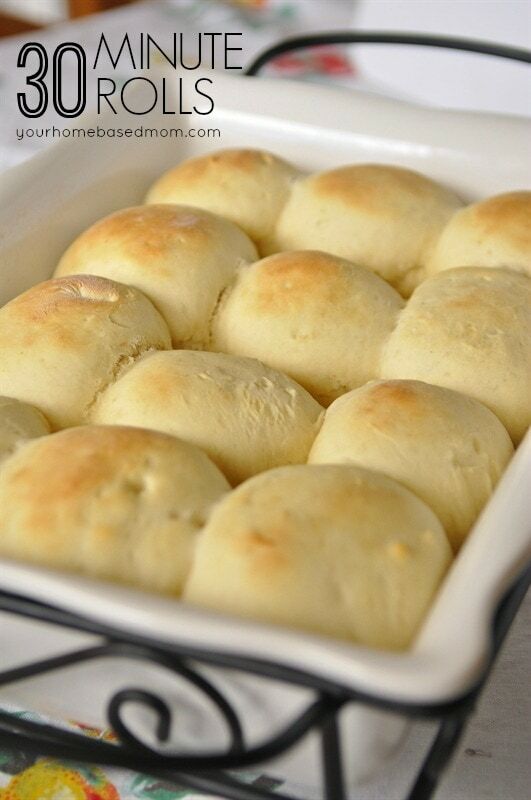 Place in a large pan and heat on low to medium heat and stir frequently. How many potatoes do I need for mashed potatoes? 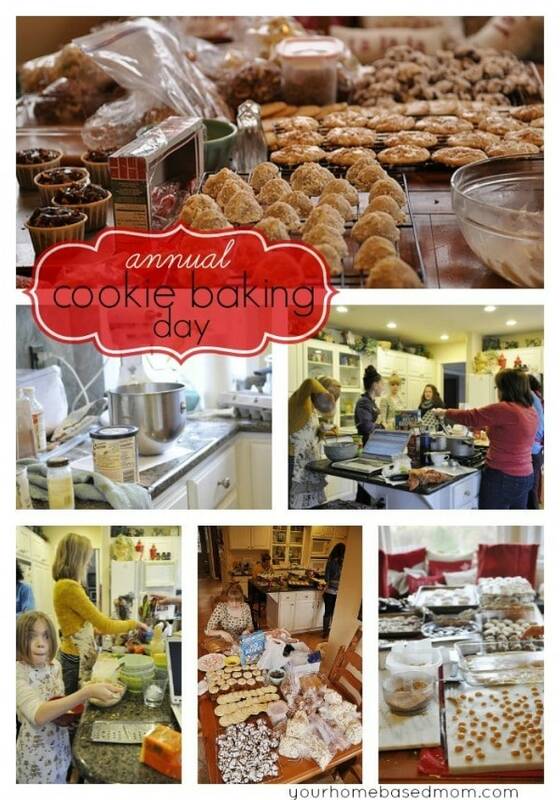 I like to plan on 1/2 pound per person. My people love their potatoes. A five pound bag should feed 10 people. Before serving, top with some additional butter and some chopped chives for some extra flavor and texture. My family are mashed potato purists and don’t like anything more than butter, some milk and salt and pepper added to their potatoes. 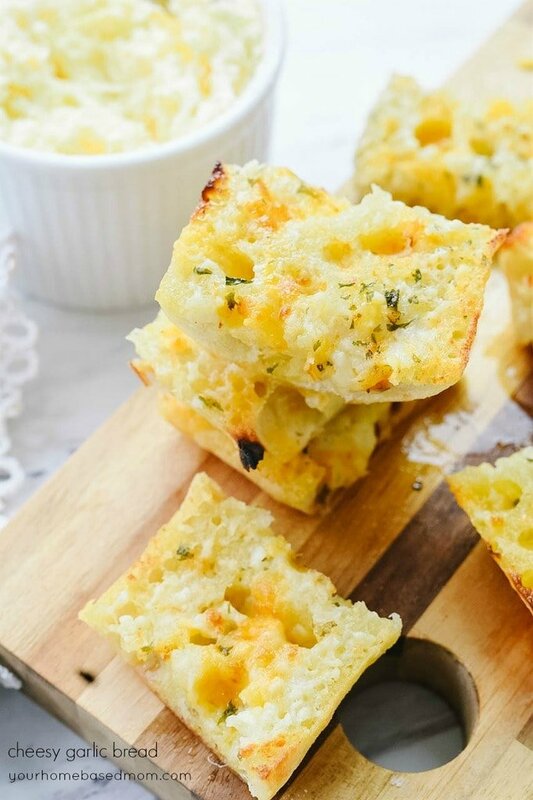 If you like, you can add in roasted garlic, cream cheese, grated cheese and other herbs if you want to dress up your potatoes a bit. We keep it pretty simple at our house. 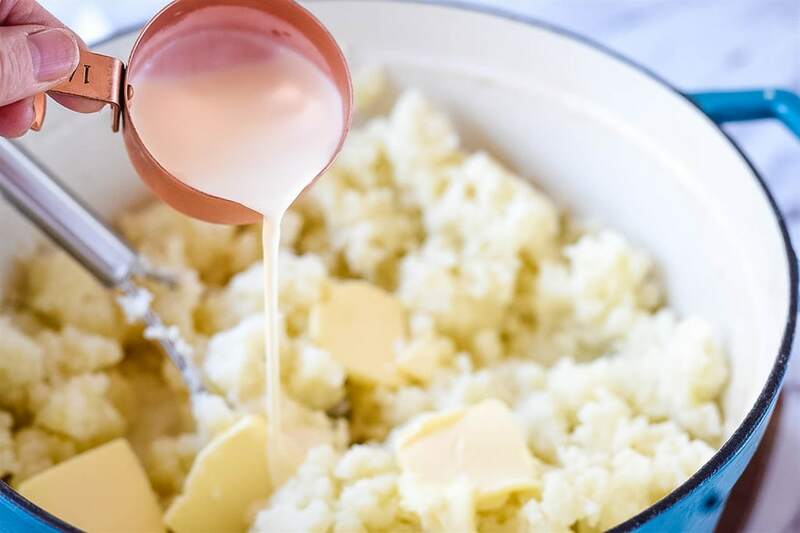 Making creamy mashed potatoes is easy with this step by step tutorial. 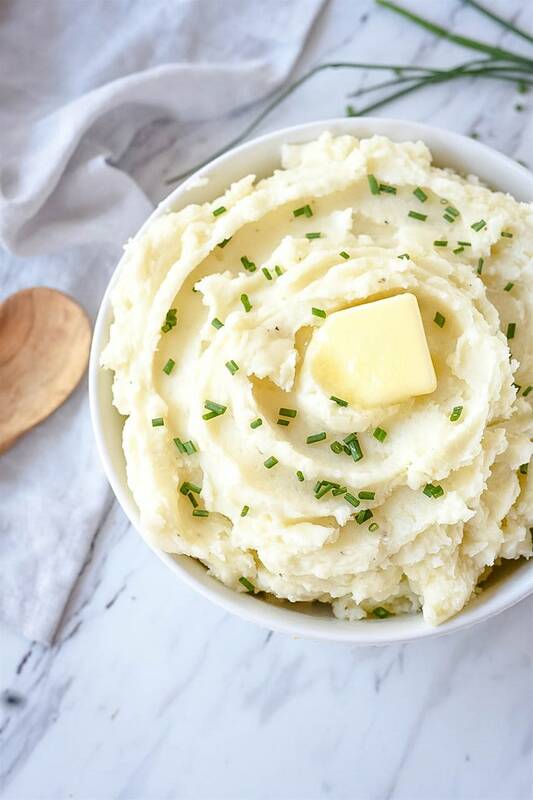 All my best tips and tricks for perfect mashed potatoes every time. 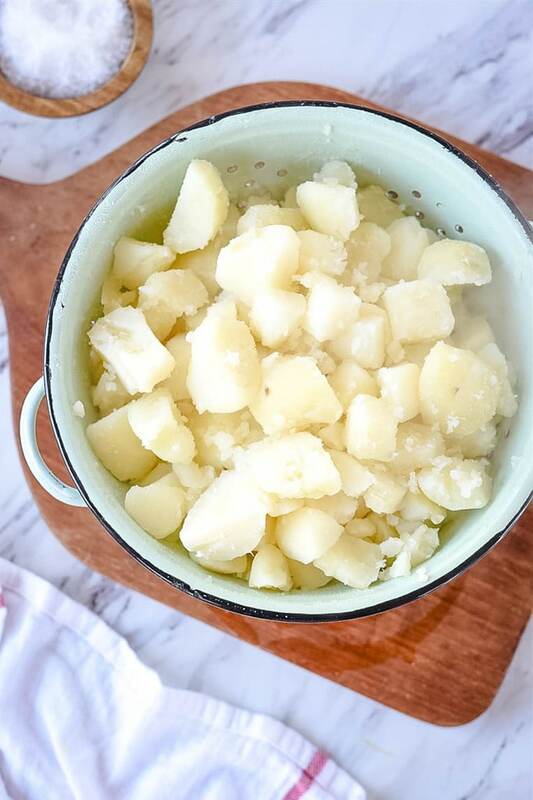 Place cut potatoes into a large pot of cold water. Be sure water covers the potatoes by 1 -2 inches. Bring to a low, slow boil and boil until potatoes are tender. A fork should slide right through them with no resistance. Drain water from potatoes and return potatoes to pot. With a hand masher, mash potatoes. 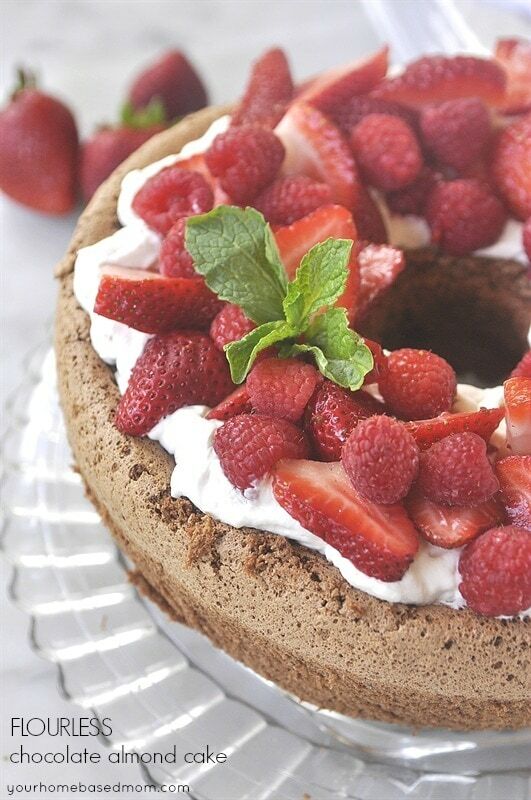 Add in butter, milk and cream to achieved desired consistency. Garnish with chives. Serve immediately.